The jeep. What does ‘jeep’ mean? The origin and meaning of the word “jeep” are not too certain. Writing in reply to a query on this subject from the Editor of the Winston Dictionaries, Philadelphia, Pa., the QMC Motor Transport Division on October 30, 1941, stated: “The word ‘jeep’ has no official military status, but over a long period of years has come to mean to Army men a new type of military motor vehicle.” The editor was informed that until the advent of the ¼-ton truck the word had been generally applied to the ½-ton, 4×4, used for command reconnaissance and general cargo purposes. 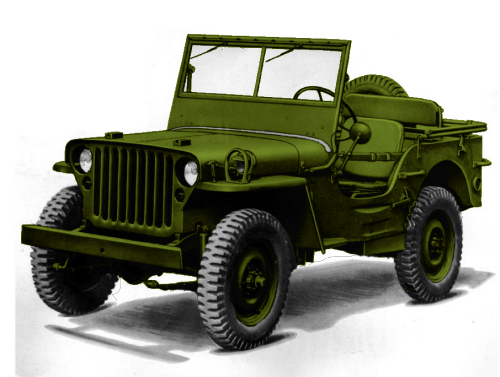 When the ¼-ton made its debut, it was variously dubbed “jeep,” “baby jeep,” and “peep.” During the 1941 maneuvers, it was said the Army mechanics and others generally came to refer to it as the “peep,” to distinguish it from the ½-ton “jeep.” QM 095 M-A (Winston, John C., Co.), Major G. H. Vogel to Thomas K. Brown, Jr., Editor, The Winston Dictionaries, October 30, 1941. Other names attached to the ¼-ton about this time were “jeepie,” “son-of-a jeep,” “blitz-buggy,” “bantam,” “puddle jumper,” etc. No one can be certain about when the term “jeep” first came into common usage. Merriam-Websters’ Online Dictionary states the jeep is “a small general-purpose motor vehicle with 80-inch wheelbase, 1/4-ton capacity, and four-wheel drive used by the U.S. Army in World War II; also : a similar but larger and more powerful U.S. army vehicle”. But they don’t explain where the word jeep is derived. In the book, Hail To The JEEP! by A. Wade Wells, a Major E.P. Hogan is quoted as saying, “Jeep is an old Army grease-monkey term that dates back to the last war and was used by shop mechanics in referring to any new motor vehicle received for test. In recent years the word has been used especially by the Armored Force but not in relation to the 1/4-ton. Just when this generally used term was specifically applied to the vehicle it now describes is hard to say.” This is the passage that Major Hogan is often cited as having writing in an article in Quartmaster Review in 1941. Then Lieutenant Hogan wrote two articles for Quartermaster Review in 1941. The first was entitled “The Bug” and the second was “The Story of the Quarter-Ton”. The name “Jeep” was finally associated with the quarter-ton on a world-wide basis when Katherine “Katy” Hillyer wrote an article in the Washington Daily News in February, 1941. Irving “Red” Hausmann was demonstrating the jeep in Washington and Ms. Hillyer, a reporter, was their to cover the story. According to Mr. Wade after the demonstration was over, she asked what was the thing called. Mr Hausmann, replied, “It’s a Jeep.” Shortly after publication in the newspaper the name “Jeep” was permanently affixed to the little vehicle…except maybe in the Armored Forces which insist that a “jeep” is a 1/2-ton Dodge Command Car. An outstanding feature of the “bantam” is the success with which four wheel drive has been adapted to it. Its front axle can be used wither as a driving axle or an idling axle and, while the four-wheel drive feature in smaller vehicles is an adaptation of the Army’s usual design, in the “puddle-jumper” the resulting performance has been far greater even than anticipated. “Bugs” are built for maximum cross-country mobility – an indispensable requirement in modern warfare – which is greatly increased by having power in all four wheels. Now Hogan was a QMC man but reading this it seems to say that the jeep wasn’t a “new” idea so much as its performance was outstanding. Also on the Internet you can find an article by the famous “jeep” author, Ray Cowdery. I’ve known Ray for a long time and count him among my “jeep” friends. In the article, “How the jeep * got its name…..“, Ray seeks to disclose the meaning of jeep and how it became associated with the vehicle during WW2. Sure the now well known part about Ford GP, “G” for government vehicles and the “P” for 80 inch wheelbase reconnaissance. But other than Ray’s article where is there evidence that “GP” was slurred together to form jeep? 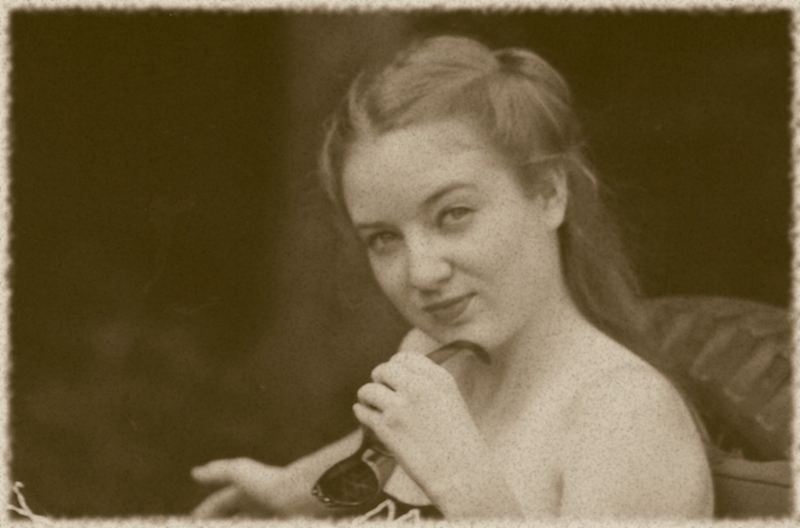 Now I will admit that I am in this camp too but I have found dang little evidence. The same Book 120 also defines “truck”. Trucks are “motor-propelled vehicles designed primarily for carrying cargo or equipment. They may be used for carrying personnel or for towing purposes.” Still further it provides a chart that lists the Truck, 1/4-ton, 4×4, Ford, 1941. The chart defines ‘purpose’ for us. “The purpose will be indicated by stating the general character of the body or the use for which the vehicle is designed.& The trucks maybe for “cargo, light repair, reconnaissance, dump, tank, cargo and dump, wrecking, or pick-up.” The jeep’s ( or Geep!) purpose is reconnaissance. *-The term used here and throughout my Blog or website relates to the vehicle purchased by the US Army prior to and during World War II BEFORE Willys-Overland trade-marked the name “JEEP”. The trade-mark “JEEP” is owned by Daimler-Chrysler. The use here is only for identification purposes.